At ITD Solutions, we understand the importance of reliable, high-speed Internet in the Clearwater, St. Petersburg, or Palm Harbor workplace. That is why we hold our Internet suppliers to the very highest standards of customer support and technology. We only work with the best of the best when it comes to connecting you anywhere in the world. But tracking down the best provider is no easy task. It requires a lot of research, and with all the options out there — cable vs. fiber, T1 vs. T3, etc. — it is easy to get overwhelmed. Nobody has time for that…except us. It is what we do! ITD Solutions is here to simplify data services setup for you and your company. We eliminate 100% of the hassle involved in getting your business the very best Internet at the absolute lowest cost. With the multitude of providers around the globe, it can be hard to find the best solution for all your company locations. At ITD Solutions, we can help you find the best option anywhere in the world. If your business is in the Clearwater, St. Petersburg, or Palm Harbor area, we can provide you with one point of contact from proposal to ongoing service issues. In fact, our dedicated account managers make it easy for businesses all around the world with one designated contact person for all of your support needs. At ITD Solutions, we aim to provide Clearwater, Palm Harbor, and St. Petersburg clients with the best in customer support and installation. Cable Internet is excellent for high bandwidth at low costs. Many of our cable Internet suppliers have high-performance packages that are custom-designed for business use. Our brokers can negotiate prices for your company that beat the rates you could get on your own. We work with the best data services providers in Clearwater, Palm Harbor, St. Petersburg, and all across the globe. 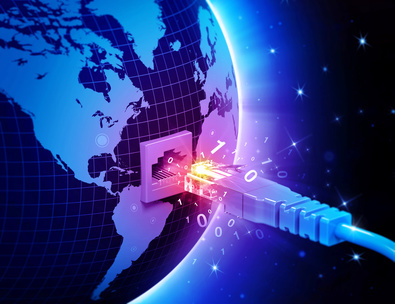 Ethernet is a popular option widely embraced by companies in Clearwater, St. Petersburg, Palm Harbor, and the entire country. Ethernet can meet your needs for high bandwidth capability and a reliable connection. Metro Ethernet is one of the superior data services that is well suited for larger companies, especially those with multiple offices. It not only offers better bandwidth performance but it also gives you a direct connection between your various local or regional offices, optimizing employee-to-employee communications. This advanced technology enhances your office’s ability to organize information and benefits communication practices. Fiber Internet service is a long-term, permanent data services solution for any sized business. One of its most appealing advantages is flexibility: fiber connections can be adjusted to accommodate speeds ranging from basic broadband (10 megabytes per second) to lightning-fast connections of more than a gigabyte per second. Most of our Fiber Internet suppliers offer scalable internet connections, often in increments of 1 megabyte, meaning they can modify your connection speed instantly with the flip of a switch — anytime you need it. T1’s are among the fastest, most reliable digital transmission data services available not only in St. Petersburg, Palm Harbor, and Clearwater but in North America. In T1, 24 separate channels work together to transmit information at the lightning-fast speed of 1.544 megabits per second. To find out how ITD Solutions can save your company money, upgrade your existing telephony system, and research specific solutions that address all of your concerns about connectivity and Internet speed, contact us today. Call us at 1-888-542-8484 or email us for a free consultation and find out why we are a leader in data services & DaaS — simplifying telephony for clients in Clearwater, Palm Harbor, and St. Petersburg.